The brand new Grow app is now available for iOS and Android platforms and, friends, you don’t want to miss this update. One youth pastor called it “the Swiss army knife of youth ministry apps,” which might be our favorite review so far. 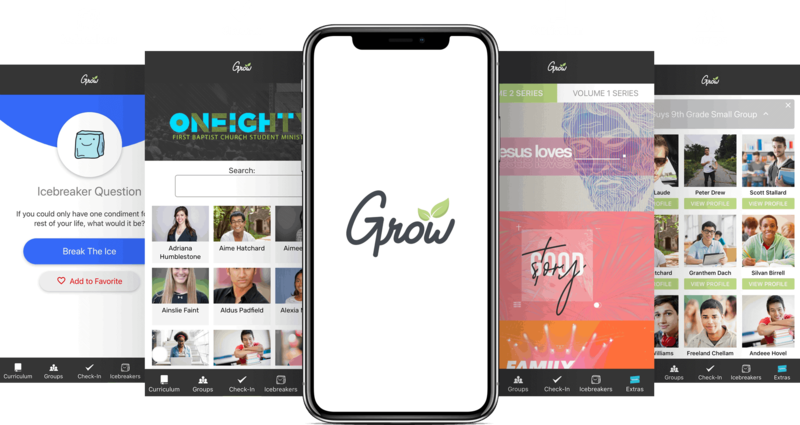 Now, without further delay, here are our 5 favorite new features in the Grow youth ministry app! The Grow app integrates seamlessly with Grow Numbers (our database and attendance-tracking software) so you can create and manage small groups from your Grow Numbers account, and then give your leaders access to their students’ information from the Grow app. With this app, your leaders will always have access to the information you decide to share with them — and since it syncs automatically with your Grow Numbers account, the information they see will always be current! But this functionality isn’t limited only to small groups. There are countless ways you can use the Groups feature. You might create groups for each of your small groups, for your entire volunteer team, for your worship team, or your student leaders. It’s up to you! Get creative — then let us know how you’re using it. Share the code with your group leader. Thanks to another integration with Grow Numbers, you can now use the app to take attendance at your weekly programs, small group gatherings, and special events. Any check-ins that are logged on your leaders’ or students’ devices will instantly sync with your Grow Numbers account so you always have accurate attendance data. Create a one-time or recurring event. Share the code with your team or your students. If you’re a subscriber to Grow Curriculum and Annual Strategy, you (and your volunteers) can get access to all of the small group questions for the entire year on your phones! With one tap, your leaders can access the series summary of every Grow Curriculum series. With another tap, they can access all of the discussion questions, Scripture, and Big Ideas for any week they’d like, at any time. Log into your Grow Curriculum account. In your menu, go to Extras, then App, to find your curriculum password. Share your password with your team. The Grow app is packed with hundreds of fun icebreakers for your small group time, bus rides, opening games, or one-on-one conversations — and the list is always growing! You’ll find get-to-know-you questions, would-you-rather questions, cheesy jokes, trivia questions, and simple activities to help you break the ice. You can even save your favorite icebreakers and filter by category. We’ve created a lot of free stuff for you and the Grow app puts lots of it all in one place. In your Extras section, you’ll find quick links to all sorts of stuff, like . . .
A huge library of free ministry training PDFs. Our free podcasts, Youth Ministry Answers and Kids Ministry Answers. Our free Facebook groups for youth pastors and kids ministry leaders.  We’re pretty excited about the new Grow app, but we want to know what YOU think! If you’re liking it, we’d love for you to leave a review in your favorite app store so other workers can find and learn about the app more easily. And if you have an idea for a new feature, we want to hear that too! This app is designed BY youth workers and FOR youth workers, so we’re committed to making it awesome. Let us know what you want to see! IS THE APP JUST FOR GROW CURRICULUM USERS? Nope! You can use the app without a Grow Curriculum account, but you will not be able to see any of the Grow Curriculum small group guides. IS THE APP JUST FOR GROW NUMBERS USERS? Nope! You can use the app without a Grow Numbers account, but you will need a Grow Numbers account to use the Check-In and Groups features. CAN MY LEADERS USE THE GROUPS FEATURE EVEN IF WE DON’T USE GROW NUMBERS? Yes! If your ministry doesn’t use Grow Numbers for your attendance or database solution, your leaders can still use the Groups feature of the app (for free!) by creating their own personal Grow Numbers accounts. As long as they have fewer than 25 students in their small groups, it’s free! YOU: If you’re the youth pastor or primary leader of your ministry, this app is definitely for you. VOLUNTEERS: Your volunteers can use the app to lead small group conversations, find fun icebreakers, get contact information for the students in their group, and sign students in. STUDENTS: Students can use the app to follow along with the small group conversations, generate icebreaker questions, and sign themselves in to your events. PARENTS: Parents can use the app to check out what you’re teaching and sign their kids (or themselves) into your events.